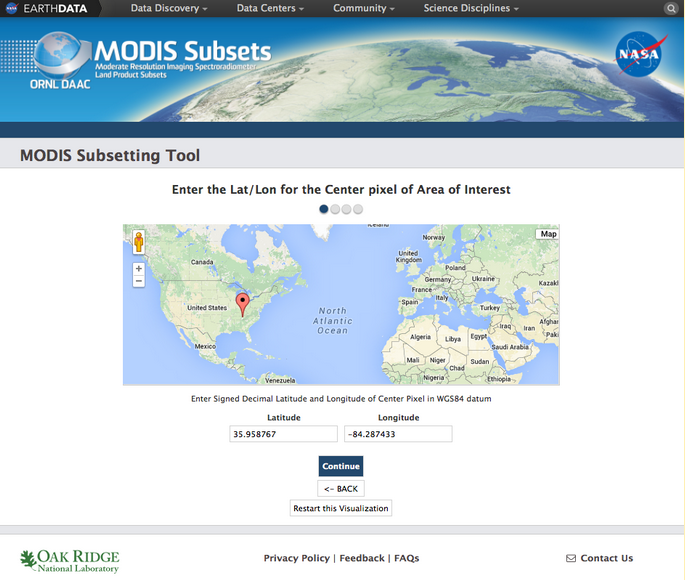 The newly updated Global Subsetting Tool for MODIS Land Products is now available at http://daac.ornl.gov/modisglobal. The new subsetting tool allows users to create custom subsets for 14 MODIS land products from Terra and Aqua satellites for any land location in the world from the year 2000 to the present. Areas may be as small as 1 pixel to 201 x 201 km.